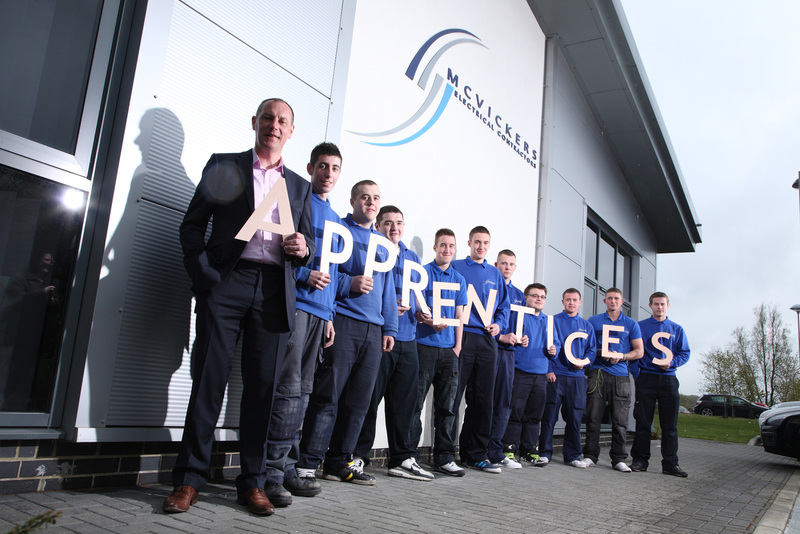 McVickers are proud to be able to shout about their continued support for apprenticeships. During our 50 years in business we have successfully trained over 200 Electrical Apprentices and the figure continues to grow! We currently employ 7 apprentices who are at various stages of their training and attend either New College Durham or Derwentside College who have helped us turn out some outstanding Electricians, several of them being put forward for apprentice of the year! Our support has been recognised by Derwentside College who awarded us last year during Apprenticeship week. Could you be our next Apprentice? If you are interested in finding out more about availability of Apprenticeships with ourselves please don’t hesitate to get in touch by phone or email.